How high are realtors´ and lawyers´ fees in Finland? What about other property purchase costs? How difficult is the property purchase process in Finland? In 2000 the government removed the requirement that a nonresident must obtain a permit to buy a secondary residential property in Finland, putting foreigners on exactly the same footing as Finns. However, foreigners are restricted from acquiring property in the Province of Aland (Ahvenanmaa), an archipelago. Foreigners need to ask permission from the Finns to purchase property in this archipelago. Of Finland´s population of 5.1 million, 1.1 million lives in Helsinki (of the 31% of all dwellings which are in the rented sector, 52% are social housing, mostly owned by local authorities). Upon choosing a property the buyer should examine all documents related to property e.g. certificate of title. After the buyer has determined that the property reaches his standards, negotiation commences. Thereafter, a preliminary agreement binding to both parties is drawn. The conveyance or transfer of real estate is attested by a notary who will confirm the identities of the buyer and seller or their representatives, if any. When the buyer has received title to the real estate, he/she becomes liable to apply for legal confirmation of title. The claim for the title is submitted to the district court in whose judicial district the real estate is located. The claim for title must be made within six months of the completion of the deed of sale. When the title is released the transaction is formally at its end. 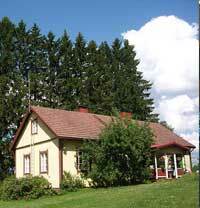 It takes an average of 32 days to complete all the three procedures needed to register a property in Finland. Real property tax is levied at 4% of the property value. There are cases where this is included in the selling price particularly when the sale involves an agent. Registration fees include notarization of the deed of sale, and registration fee for title at the District Court. The real estate agent´s commission is around 3% to 4%, plus 24% VAT, for single detached houses, and 5%, plus 24% VAT, for apartments. Lawyers are widely used by buyers and sellers but are not compulsory. Lawyers are remunerated through a fixed or hourly fee. The cost is minimal compared to the value of the property. How landlord-friendly is the law in Finland?